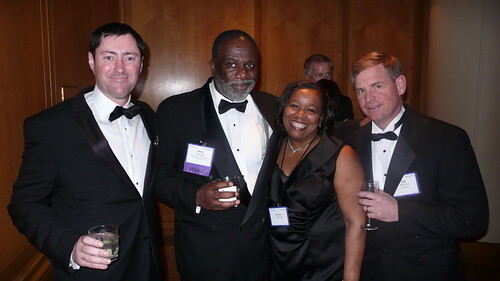 Last night was Federal Computer Week’s 20th annual Federal 100 Awards Gala recognizing the 100 people who have made a difference in government IT in the past year. You can read the profiles of the winners from FCW here… and the full list here — including (blush) the DorobekINSIDER. 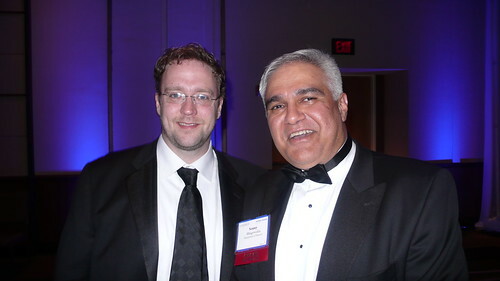 In my humble opinion, Federal Computer Week’s annual Federal 100 awards program is one of the most prestigious awards program in the government IT market. That is in part based on the fact that, as the former editor in chief at Federal Computer Week, I got to see how the process works — and it is tough. In fact, it is more competitive then you can imagine. One year, we had a judge who specifically asked to be a judge after winning the award a number of times. (Judges cannot win the Fed 100 award.) And that person, after being a judge, exclaimed, ‘Wow! I have new found respect for this process.’ And he went home and polished his awards, which were all given for well deserved work. 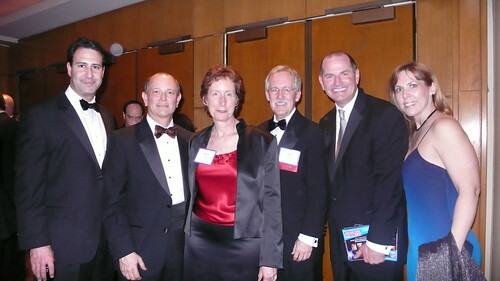 The 2010 Fed 100 winners are a distinguished group. 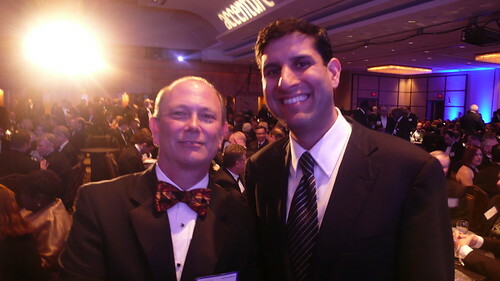 There are people who are almost obvious — federal CIO Vivek Kundra, Roger Baker, the CIO at the Department of Veterans Affairs, and Beth Noveck, the deputy chief technology officer who has led the open government initiative. And then there are the less well known yet still equally remarkable — NASA’s Emma Attunes, EPA’s Jeffrey Levy, Craiglist founder Craig Newmark and Sunlight Lab’s Clay Johnson. Each year, FCW and the 1105 Government Information Group selects two people — one government, one industry — as the firsts among equals. Those two people are given FCW’s Eagle Award. These are the two people who have gone above and beyond among those who have gone above and beyond. 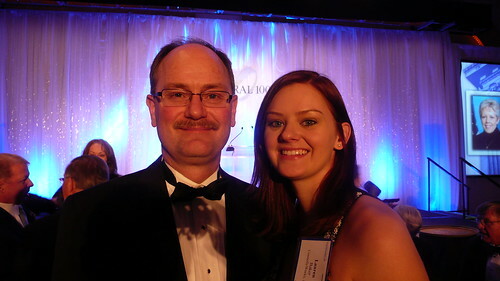 The 2010 government Eagle Award winner is Lt. Gen. Keith Alexander, director of the National Security Agency. Alexander has consolidated the cyber mission planning and execution commands that support all 10 combatant commanders, and he helped oversee the development of a comprehensive, integrated and joint specializedcyber technical training course at Naval Air Station Pensacola. In addition, he has been nominated to lead the Defense Department’s newCyber Command. 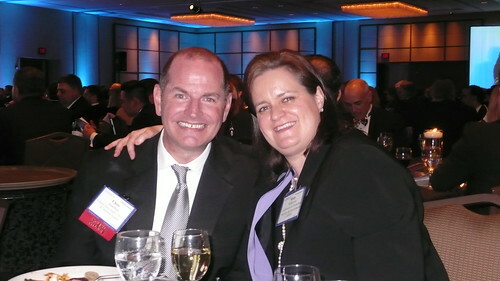 The 2010 industry Eagle Award winner is Robert “Bob” Dix, Vice President of Government Affairs for Juniper Networks. Dix is active in a number of collaborative government and industry efforts, including the President’s National Security Telecommunications Advisory Committee and the Partnership for Critical Infrastructure Security. He also helped develop the National Cyber Incident Response Plan and assisted in creating scenarios for Cyber Storm III, a national cyber threat exercise scheduled for September. Again, you can read all the profiles of the winners here… and the more in-depth profiles of several of the winners here. Regardless, getting such an award for a journalist can be seen as double edged sword — it is an enormous respect because, as I say, I have seen the process and I know how tough it is. But it can also raise the question: Does winning this kind of award mean that I’m not being tough enough? I don’t think so — and I was shocked and in awe of the recognition. Being a journalist in this kind of community — and this is a community — it can be complex because our readers and our listeners are also our sources. And we depend on them. And I think you all depend on us. Yet the role of journalism is, in a way, the quest for The Truth. As the information age has evolved, finding The Truth can be difficult because it really depends on the data you have in front of you. So the role of journalism has evolved — we parse the data to tell you the information you need to help you make your assessment of The Truth. And that has been my goal: To provide you with information that helps you do you job better — that helps government operate better. I tell the people who I will be covering regularly, I cannot promise they will always like everything I write — or say — but that I will bend into pretzel shapes to treat them fairly. Part of the quest for The Truth is asking questions. Throughout my career, I have sought to do it in a way thatisn ‘t punitive. Generally, I’m not a fan of “got ya'” stories because too often they simply don’t result in the desired change. So I get to talk about things that work — and things that don’t — in a way where we all learn lessons. So this is very special — coming from people like Evans, the former de facto federal CIO… people like Dave Wennergren, the Defense Department deputy CIO… people like Martha Dorris, the Associate Administrator for GSA’s Office of Citizen Services and Communications… Michael Howell, the deputy CIO at the Office of Management and Budget… HUD CIO Jerry Williams… and the entire team of judges. Honestly, I’m honored and humbled. All of that being said, this is a community — a community of people who are generally very smart and very passionate about what they do. And I am honored — and humbled… And I’m thrilled get to do what I love to do. I also want to give a special thanks to two people: Marty Wagner. The way that this community came out in support of Wagner following his Fourth of July 2007 accident is still just remarkable to me. It was such a real demonstration of this community. Wagner has come a long way from the days following the accident. He is a remarkable person — during his government career, he was somebody who was able to disagree without ever being disagreeable. He was able to push people to think “outside the box.” And in many way, he is my model. 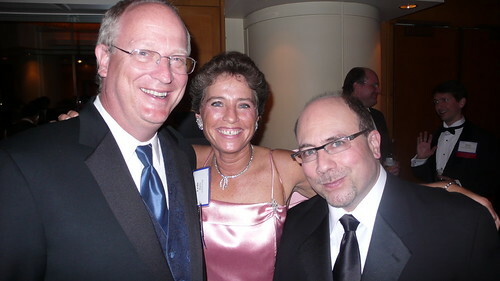 The other is Anne Armstrong — the entire team from 1105 Media including FCW Editor in Chief David Rapp… and, of course, John S. Monroe, who, in so many ways, is the heart and soul of Federal Computer Week. But in particular, I want to thank Armstrong because she has been such a mentor for me — she named me to be the editor in chief of Federal Computer Week, but she also is passionate about this market. And in many ways, my selection in particular has to have been SO difficult. The fact is that the Fed 100 are people really are the decision of a panel of expert judges — and they take the challenge very seriously. FCW editors don’t decide, but they can suggest. But to give such an award to a journalist — and a journalist at another organization — it says volumes about the real objectivity of these awards. And, of course, thanks to Team Federal News Radio, who give me the opportunity to have so much fun doing this job each and every day. 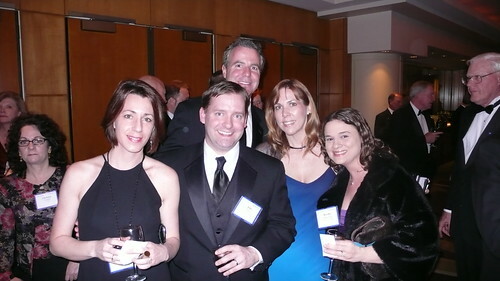 So… with that… photos from the 2010 Federal 100 Awards Gala from last week.